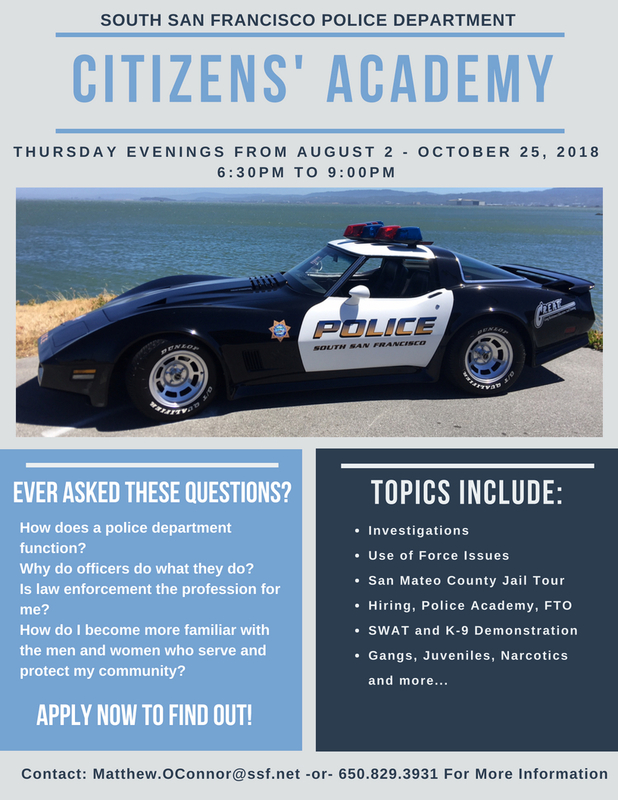 The South San Francisco Police department has announced the upcoming Citizen’s Police Academy will start on August 2, 2018. The 12 week academy will meet on Thursday evenings for 2 1/2 hours starting at 6:30pm. 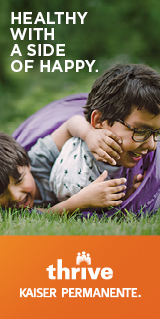 The program is FREE to qualified folks who live or work in South City with a limit of 25 people per class. You must be 18 or older and not have any felony convictions. This is a great opportunity to learn first hand different aspects of police work including SWAT Team and K-9 Team demonstrations! This course tends to fill up quickly so register as soon as possible and spend your Thursday evenings engaged in one of the best programs offered by our City. CLICK HERE to download the application which must be returned to Corporal Matthew O’Connor by July 15th.